How Old do you Have to be to Work at Zara? If you love fashion and have a great sense of style, then a Zara career could be the job for you! The international Zara brand is one of the leaders of the “fast fashion” industry. Built on the idea that fashion changes quickly, Zara specializes in trends and cutting-edge style for fashion enthusiasts including women, men and children. 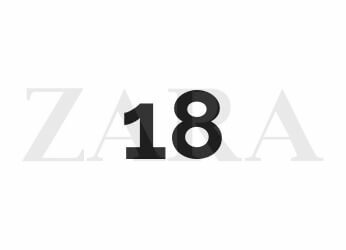 Zara is a part of the Inditex family of brands and has been around since 1975. While its home base is in Arteixo in Galicia, Zara has stores all of over the world from the United States to Australia. Below we’ve included a career guide where you’ll find valuable information about Zara employment including how to apply for your favorite position and what to wear on your first interview. We also include important information like minimum age requirements, possible interview questions and what pay rates to expect. Zara’s active job site allows you to search for a job by department, job type and location. 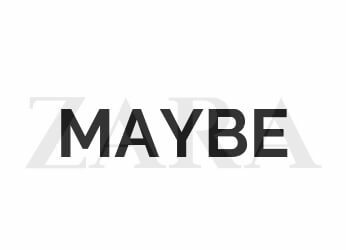 This is the parent company, Inditex Group, so make sure you have the company Zara selected when searching. The Cashier position at Zara includes selling, restocking and merchandising, so qualified candidates should be able to multitask. The cashier is on the front line of the customer service experience as well as the last person that customers see after making a purchase, so they are responsible for leaving a lasting impression of the Zara brand. Candidates should be passionate about fashion, have a flexible schedule and be open to cross-training. Previous retail experience is a plus. The Zara stock room is the “heart” of the store. Stock Associates should be able to work well in a fast-paced environment and have the ability to manage multiple stockroom tasks efficiently. Stock Associates are responsible for a large quantity of merchandise so they should be detail-oriented, have a sense of urgency and be self-motivated. Zara stores receive multiple merchandise shipments each week. Stock associates should be adept at pricing, organizing and adding sensors to merchandise quickly and effectively. The job of the Visual Merchandiser is to make sure that the store stays on trend visually. This requires a passion for fashion, creativity and a great imagination. The Operations Assistant Manager is responsible for managing one of the most valuable assets at Zara—their stockroom! Zara looks for applicants who are energetic, hardworking and reliable. Applicants under consideration will be detail-oriented and able to effectively manage multiple stockroom associates. The stockroom is at the heart of the Zara store, and with multiple shipments per week, the Operations Assistant Manager must work quickly and efficiently as well as manage circumstances well under pressure. Zara retail locations are made up of multiple departments. The Department Manager embodies the Zara brand as well as the individual department that he/she manages. Department managers are strong leaders who are adept at handling multiple tasks while setting a positive example for the employees that they lead and the customers with whom they engage. Manager tasks include but are not limited to sales and stock management, customer service, visual merchandising, buying, loss prevention, human resources, and operations. Have an interest in fashion and be knowledgeable of current trends. How Much Does Zara Pay (Hourly & Salary)? Zara’s average hourly starting pay is around $10.06/hr. for an entry-level cashier position. This is slightly above similar company hourly rates for entry-level positions like Forever 21 ($9.07/hr) and H&M ($9.48/hr). Management starting pay continues to be higher with Zara compared to similar stores like Forever 21 with store managers averaging around $55,000/yr. (Manager pay is slightly higher for H&M at around $61,000/yr.). You have to be at least 18 to work at Zara. At the time of our research, there was no definitive information available about Zara’s drug testing and background policies. As with any position, it’s always best to be prepared. Why do you want to work for Zara? This is a great question and one to use to your advantage. Zara looks for brand ambassadors, employees who are excited about the brand and what it represents. Think about your answer carefully because how you respond will give the interviewer insight into your motivation for applying. Try to focus on what you believe are the strengths of the brand and how they are in alignment where your career goals. Zara is a high-energy brand, so sharing your enthusiasm for the brand and what it means to you is a plus. Zara is a fast fashion retailer, so being passionate about fashion and up-to-date on the latest trends is a plus. This question opens the door for you to share what fashion means to you and how it impacts your life. Customers aren’t always happy, but that doesn’t mean that you should share their sour mood. Your reply to this question will give your interviewer a feel for your temperament and how you respond under pressure. You’ll want to assure the interviewer that you’ll be part of the solution by deescalating a situation whenever possible. This is also a good time to share any past experiences with an unhappy customer and how you successfully handled the situation. Not sure how to dress for your Zara interview? Take a look at their website to get a sense of the brand’s style. While you want to represent the Zara brand aesthetic, it’s not necessary to be a walking billboard of Zara merchandise. Select clothing that is interview-appropriate, on trend and professional. Don’t forget to take your résumé! Zara benefits include medical, dental, vision, 401K, employee discounts, paid holiday and sick days.